Home > Blog > Miscellaneous > The CESP™ is going digital! The CESP™ is going digital! The Certified Employment Support Professional certification exam has transitioned to computer based testing, making the examination available in all 50 US states! All examinations will be scheduled and taken in person at an approved testing center location over a one-week period of time. Scheduling of the CESP™ takes place beginning five weeks prior to the chosen examination testing window and is handled by PSI, the computer testing group. At that time, approved candidates* will receive a Scheduling Authorization which will provide all scheduling links and instructions. Scheduling is done on a first-come, first-served basis. The testing windows are the dates during which the exams are administered. The application deadline dates are the dates during which candidates can register for the exam. There are several hundred PSI-managed computer-based Testing Centers in the United States. Testing Centers are open Monday through Saturday, excluding holidays. Hours and days of availability vary at each Testing Center. To identify the closest Testing Center, PSI at 800-733-9267. A testing tutorial document can be viewed online, free of charge, and features online testing information. Please visit TESTING SOFTWARE DEMO. Curious what the PSI experience is like? More information will be provided during the transition via email and through the website. *Approved candidates are those who meet the eligibility requirements, complete the candidate application, and pay the required fees by the application deadline. Learn more on the FAQs page. 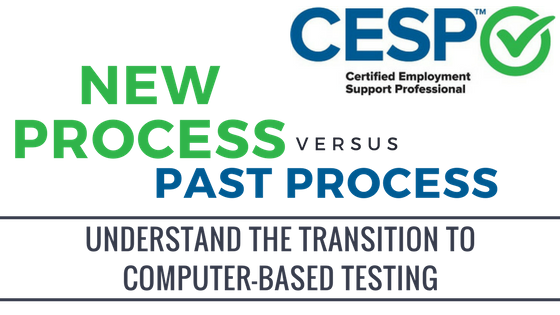 Learn more about the CESP exam here.